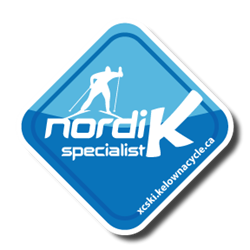 Special Olympics Kelowna and Telemark Nordic Club will be hosting the Special Olympics Regional Games for skiing and snowshoeing on Saturday February 10, 2018 at Telemark. Sixteen of our skiers and seven snowshoers will compete against athletes from every region of BC. Tracey Melesko and Francis Stanley, both gold medal winners at the 2017 Special Olympics World Winter Games, will join. This is a small event and will not impact skiing and snowshoeing. The left side of Rabbit trail will be closed for an hour or two during this event.